Sturdy and reliable with a center support beam. 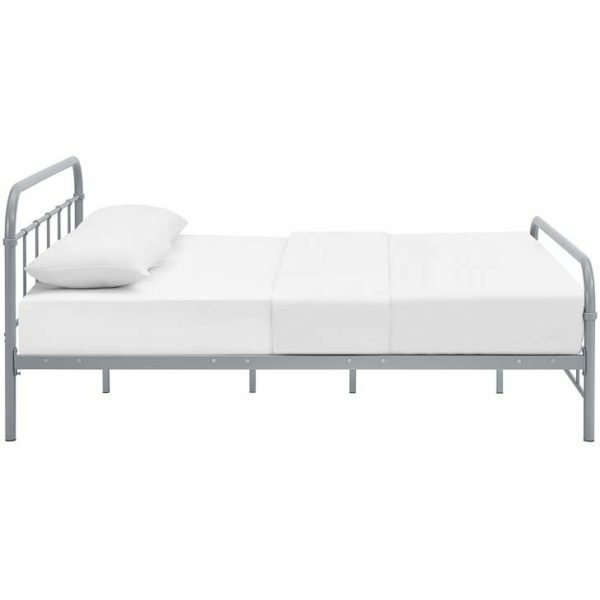 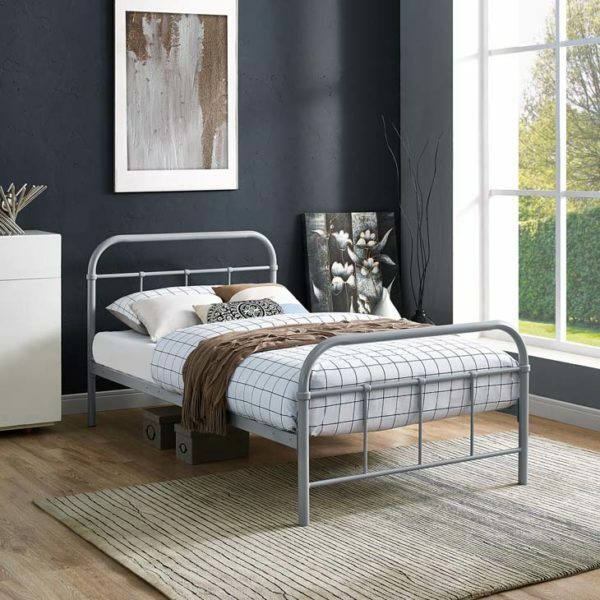 Enjoy the Maisie Stainless Steel bed with a mix of vintage cottage and contemporary style. The platform construction eliminates the box spring and works with memory foam, innerspring, latex, and hybrids. 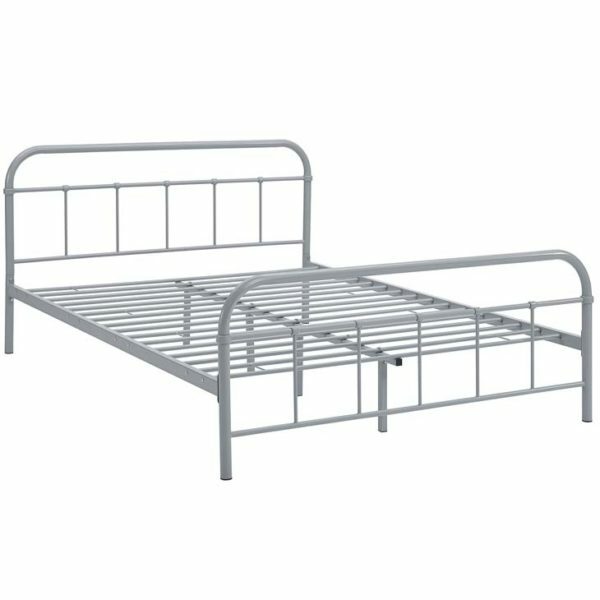 Holds up to 1323 lbs. Graphics may be from a different size bed.